The Samsung Galaxy S5 Active is a model that many thought would be axed by the manufacturer this year. When Sammy added IP67 certification to the regular Samsung Galaxy S5, the one major reason for purchasing the "Active" variant of the company's flagship handset seemed to have gone away. But the level of water resistance is expected to be higher on the Galaxy S5 Active. Instead of being able to withstand a submersion in up to 3.2 feet of water for up to 30 minutes, the Galaxy S5 Active is expected to be able to live through a dunking in up to 5 feet of water for as long as an hour. 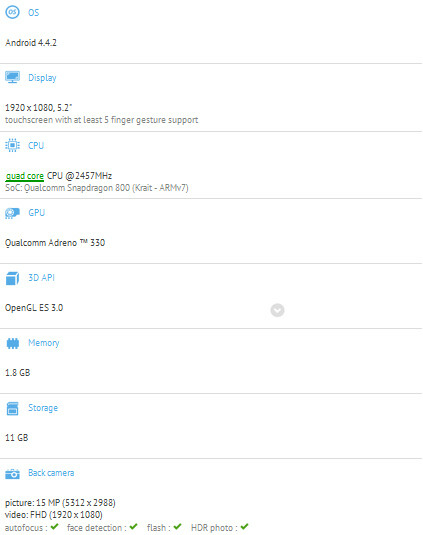 The Samsung Galaxy S5 Active recently paid a visit to the GFX Benchmark site, leaving a list of specs. So just what can we expect from this sturdy device? How about a 5.2 inch screen with resolution of 1080 x 1920? That is a slightly larger screen than the 5.1 inch glass on the Samsung Galaxy S5. A quad-core 2.5GHz Snapdragon 800 CPU is under the hood along with the Adreno 330 GPU. 2GB of RAM and 11GB of free memory is on board. The back and front facing cameras are 16MP and 2MP respectively. Android 4.4.2 is pre-installed out of the box. 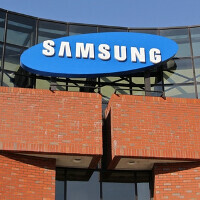 While the Samsung Galaxy S5 has yet to be announced, we expect the phone to be available from at least AT&T and Sprint in the U.S. And Samsung could still make this an interesting model if it were to equip the device with a battery much larger than the 2800mAh cell employed by the Samsung Galaxy S5. in before Samsung hate from people who have nothing better to do. LG G3 will beat anything out there now and for the year. I think that would be the S5 prime. The Note has no real competition actually. 2.5 GHz SD800......why not 801? s5 active? isnt the s5 already water/dust proof? Wasnt that the big selling feature of the s4 active? Shhhh, dont tell the shee.. customers that. Please tell me the point of the S5 active? Samsung Galaxy S5 Prime Active next. Please stay tuned. I think I'll go for the cheaper Samsung Galaxy S5 Prime Active Neo. I think the Active version of the 'S' line of handsets is to make a more rugged version rather than only have the IP rating...but they should at least make it IP68 certified so its completely waterproof.